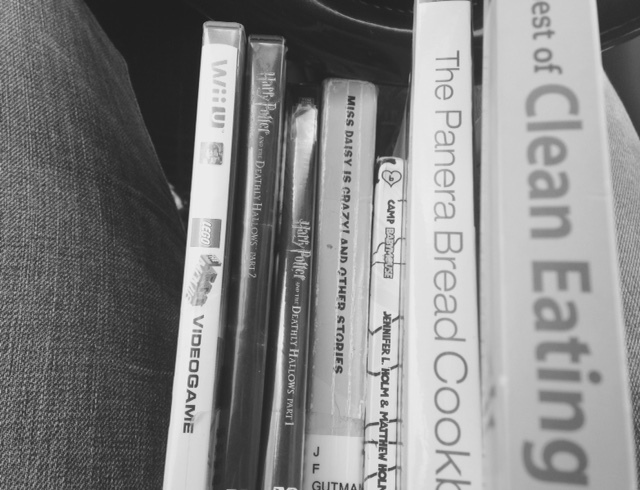 late fees…facing the shame of my overdue library books | I Sing Because I'm Free! We went to the library several times last summer, and once the girls were back in school- I simply forgot to return our books. So, a few weeks past the due date, I dropped our late books off at the library. They were not open at the time, so I put them into the outside book drop. I felt shame over how late these books were. The thought crossed my mind that maybe I could get through their childhood without ever returning to the library again. “Let’s go to the library!” one of my girls suggested. I admit that I came up with every excuse in the book to NOT go to the library. Only because I didn’t want to face the shame of once again having extremely late books. After a ridiculous amount of begging to go, I finally gave in and chose to act like a responsible adult. Surely my late fee wouldn’t be more than like $200? As I climbed into the car, my other daughter reminded me that we still had one of the books from last summer. I ran in the house, and sure enough- I found yet another book we had had for MONTHS. The 5 minute drive to the library felt like 5 years. I had a lump in my throat and felt like I was going to have a panic attack. We pulled up to the building and I slowly began my walk of shame, with the late book in hand. I approached the counter and began to fess up. “Please forgive me. I am ashamed, ” I earnestly confessed to the librarian- in those exact words. The lady behind the counter gave me a puzzled look. Clearly she had no idea how embarrassed I was. She took my book, scanned it and told me the damage. She wasn’t phased in the slightest. I couldn’t believe it! And I was even more embarrassed that I had waited so long to face the music. My fears of what might happen are always far worse than reality. How silly I felt for holding onto that guilt for all those months. You know what is even better though? That we can come to Jesus- no matter what our sins are, no matter what we have done or how much time has passed…and there is never any “late fee” to be paid. How many of us don’t feel worthy of His forgiveness? The sad thing is that we punish ourselves when we choose to feel guilty and ashamed of things we have done. We all fall short- but His grace is sufficient, and He is there to catch us. In Christ, we are freely forgiven! When we go to Him to ask for forgiveness and to make things right- He tells us our “late fees” have already been paid in full! The lesson I learned that day was priceless- far more valuable than that $40 late fee! Yes go at once.The price had been paid. Julie I confess I do the same thing. I always hanged late fees at the library. I am just glad they are not to much. Wonderful story and reminder. Thank you for sharing with us. ” I am just glad they are not to much”… me too!! One great thing our library does is that they accept book donations in lieu of some of the late fee. We didn’t have any to donate on this particular day though. I laugh thinking about how silly I was for putting off going to the library for all that time- just because I was afraid of how much I owed! Jesus has paid it all and I am so thankful for His grace- and the ability to look back and laugh at myself 🙂 Many blessings to you!! You made me laugh. Yes I agree Julie. Now that I am a Christian, at times, I feel like I have to perform for God to continue receiving His grace. Walking out faith is not about rules, it is about obedience to God in response to His love poured out on me! Debbie, thanks so much for reading and for sharing your thoughts 🙂 LOL at not returning your husband’s late books!! And a big AMEN to this – “Walking out faith is not about rules, it is about obedience to God in response to His love poured out on me!” YES, YES, YES! Blessings to you! Love this. It gives me hope. I think I have a library book somewhere that I checked out 30 years ago. I hope I can find it. LOL!! Too funny! I hope you eventually find that book 🙂 Hope you are doing well! I was laughing at myself for being so adamant about never going to the library again, lol!! I get embarrassed because our books are late- EVERY TIME! At least we are helping to fund the library with our late fees 🙂 I would lose my head if it wasn’t attached to my body!! Awesome post! I love how you related the library to the forgiveness God has already given us. You know what…I must confess I have some library books that are overdue and I will return them on this weekend, thanks to you and your lovely post;=) Thanks for sharing. Lol!! Hope you find those books 🙂 And thank you for your encouraging words! Blessings to you!! Found them!!! Still haven’t returned them yet to the library. Pray for me…LOL!! I’ll check back later, until then be a blessing Julie!